Ships tomorrow if you order in the next 18 hours 10 minutes. 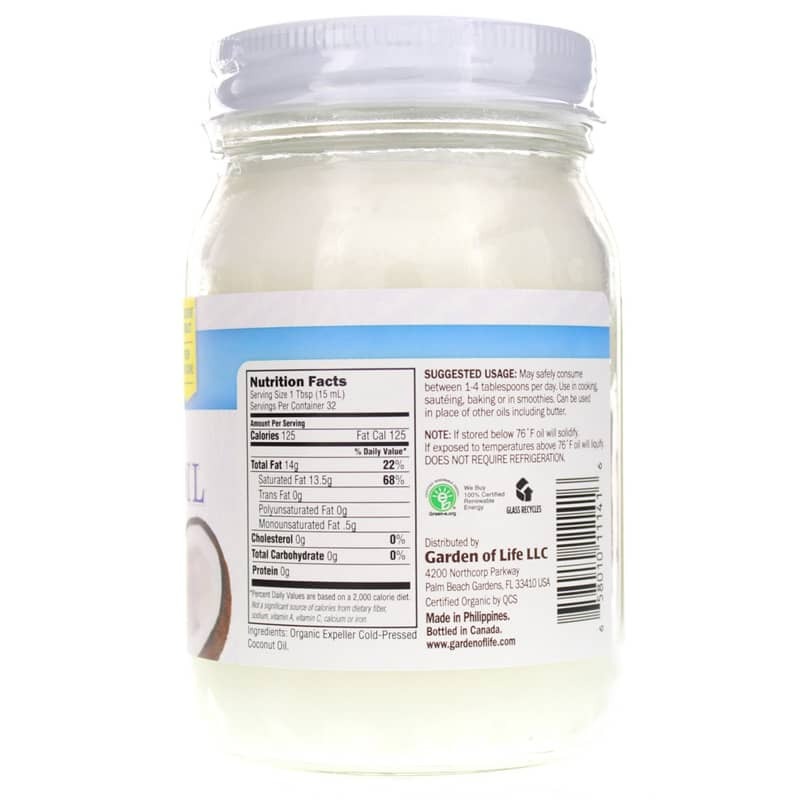 Living Foods Extra Virgin Coconut Oil from Garden of Life is 100% Organic and contains the meat from only the freshest, organically grown coconuts. Delicious flavor. Enjoy in cooking, frying, baking or in smoothies. Can be used in place of butter. Extra Virgin Coconut Oil is among the healthiest, most versatile dietary oils in the world. 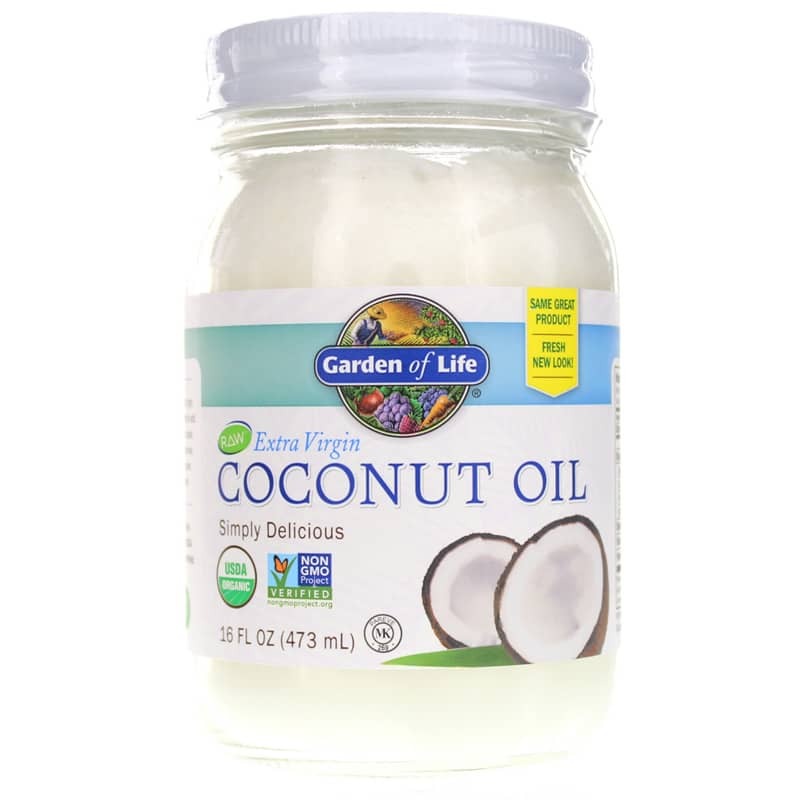 An excellent cooking oil with its natural coconut flavor and aroma, Garden of Life thinks it is simply the best tasting, most aromatic coconut oil on the planet. 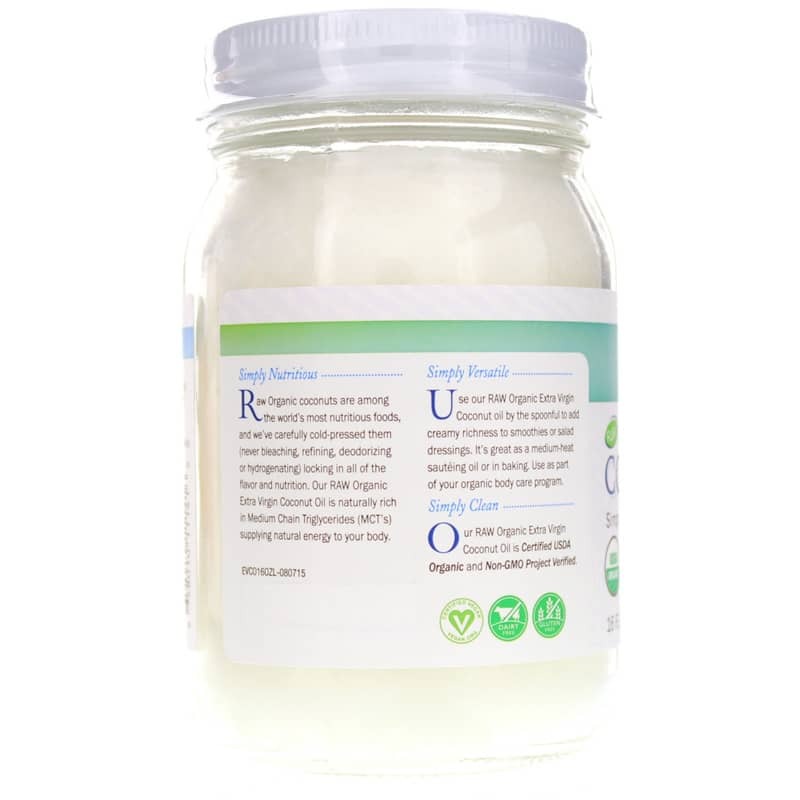 Extra Virgin Coconut Oil is a stable, healthy saturated fat that is naturally free from trans-fatty acids. It contains medium-chain fatty acids, such as lauric acid, which have a shorter chain length than most animal derived long-chain saturated fatty acids. Ingredients: 100% Organic Expeller Pressed Philippine Coconut Oil. May safely consume between 1 to 4 tablespoons per day. Use in cooking, frying, baking or in smoothies. Can be used in place of other oils, including butter. Tastes and smells great. I use it for baking and as a moisturizer. Really makes your skin feel soft. The Garden of Life brand is Extra Virgin and 100% organic! Extra Virgin Coconut Oil 100% Organic is a great product! We've tried several, and this is the overall best one. When used to fry food, the coconut flavor is rarely discernible and, if it is, it is extremely faint. Buy it with confidence! Coconut oil is not only good tasting, but I also like it as a great makeup remover and moisturizer. No regrets. Worth every penny.